The African wild dogs are back. 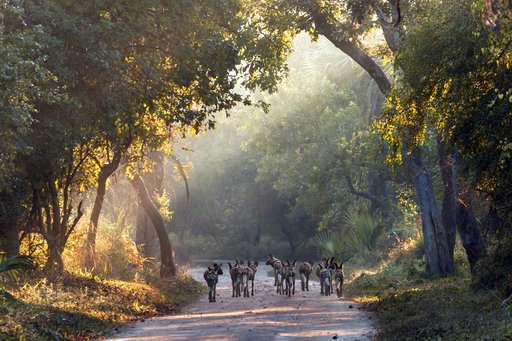 There are just 14 of them, far fewer than those that roamed Mozambique's Gorongosa National Park before the nearly two-decade civil war that started in the 1970s. 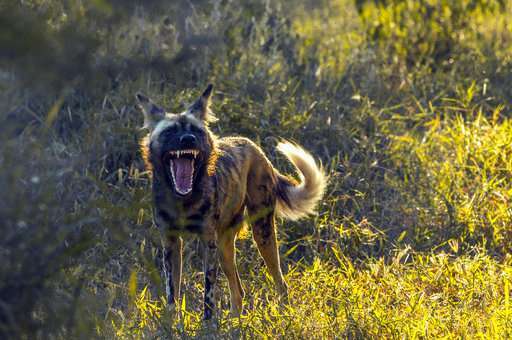 As up to a million people lost their lives to violence and famine, much of the park's wildlife also was wiped out—including the wild dogs, an endangered species vulnerable to snares and disease. Now they have been re-introduced to Gorongosa, carnivores unleashed on plant eaters as part of an intricate conservation project that aims to restore a diverse ecosystem at the southern end of Africa's Great Rift Valley. It's complicated. Architects of the project—a joint venture between a non-profit group founded by American philanthropist Greg Carr and the Mozambican government—are wrestling with big picture ideas about what restoration even means in a world whose wild places face intensifying pressure from human encroachment and climate change. "We can't go back to what exactly it was," said Marc Stalmans, science director at the 4,067-square-kilometer (1,570-square-mile) park. "Has the environment changed over the last 50 years in a way that certain previous states can no longer be attained?" In its heyday, before the end of Portuguese colonial rule in 1975, the park drew celebrities like John Wayne and Gregory Peck to central Mozambique. However, it was located in one of the poorest areas in a country ranked among the world's poorest, and black Mozambicans were excluded from meaningful involvement, according to warden Pedro Estevao Muagura. He said education, farming and other programs designed by Carr's Gorongosa Restoration Project to help the 200,000 people living around the park are critical to success within its boundaries. About two-thirds of the project's $12 million budget this year is being spent outside the park; major donors include the United States Agency for International Development. "To me, restoration means to recover what was destroyed. Not only to recover, but to improve. The center of everything, what we are doing, is the people," Muagura said at the park's main camp at Chitengo, where a bullet-pocked wall segment still stands as a reminder of the civil war. Baboons wander the camp and are plentiful outside its fence. Leopards, a particular threat to baboons, were thought to have been exterminated in Gorongosa. On March 29, however, a Mozambican guide driving with Finnish and American tourists at night spotted a male leopard in a possible sign that the elusive species is returning. More lion cubs have been born in the park. 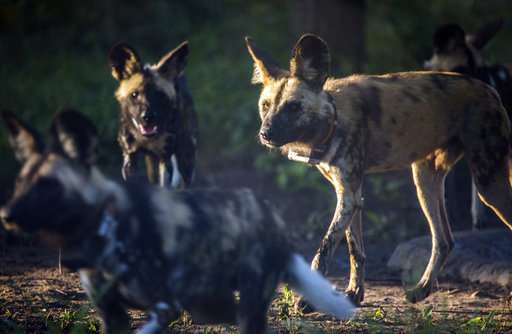 And on an April morning, the newly arrived wild dogs—six females and eight males—trotted and lazed in a large enclosure where they were getting to know each other, establishing a hierarchy before being released into the wild on June 16. The tawny, big-eared predators were darted and delivered to Gorongosa by the Endangered Wildlife Trust, a group that intensively manages the species in South Africa, promoting genetic diversity by moving males around fenced, relatively small wildlife areas that are not connected to each other. "We try to mimic natural processes," said David Marneweck, head of the group's carnivore conservation program. The wild dogs will keep herbivore populations healthy by targeting old or weak animals, he said. The work at Gorongosa was praised by Stuart Pimm, a Duke University conservation scientist who is not involved and said the reintroduction of key predators will restore "the sort of mix of species that you would expect" even if it is difficult to predict the exact impact on various species of flora and fauna. Gorongosa's team is expanding restoration research, this year deploying flood meters to monitor water levels and their duration "as these have a major influence on the vegetation production and animal movements," according to Stalmans, the science director. They are also searching for fossils to get an idea of species and the environment in the Gorongosa area in the very distant past, which could help inform decisions about its future. 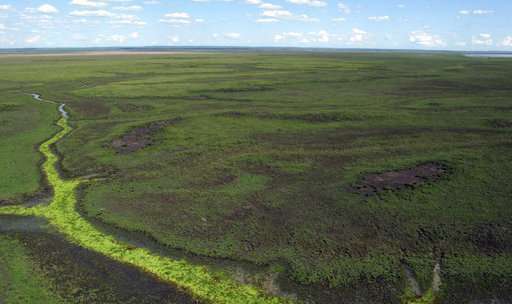 "Ecosystems come back and there's restoration, but they're almost never the same as they were before," said Rene Bobe, an Oxford University paleobiologist. "So what comes back is something new," said Bobe, a Chilean who has also worked on paleontological projects in Kenya and Ethiopia. "You cannot go back in time, in a way. We see this in the fossil record, happening over and over again." Gorongosa's new pack of wild dogs, meanwhile, is settling well. The "alpha" female is pregnant and is probably looking for a safe den to give birth, said Paola Bouley, the park's associate director of carnivore conservation. The groundwork for reintroduction of the species began long ago with intensive efforts by rangers to curb poaching and make the habitat safer for animals, she said. "That's an important lesson in restoration," Bouley said. "A system has to be ready to receive these species so we succeed not just for one month, or one year, but for 10 years and onwards."